Deep exfoliating cleansing all hair types and scalp [color save] Enriched with ultra-fine granules of Pumice stone to gently remove impurities. Specific Scrub Treatment for scalp and hair. 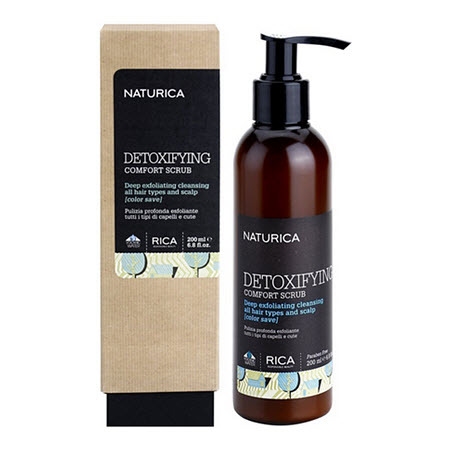 Pumice stone together with Ceramides, anti-oxidants and UV filters gently removes all traces of styling elements and pollution, leaving hair soft, light, shiny and revitalized.